The LA-based producer and DJ Zookëper hooks up here with Australian artist Maribelle for this absolutely glorious house-inflected tune. The former member of pop/rock-gone-EDM group Cash Cash has been gradually building a name for himself over the last couple of years with remixes of Jason Derulo, The Knocks, and most recently on an official remix for John Mayer, which has now amassed over 2m streams. Previous tracks and collaborations have seen the New Jersey native garner praise and support within the dance community from the likes of Diplo, David Guetta, Steve Aoki and R3HAB. 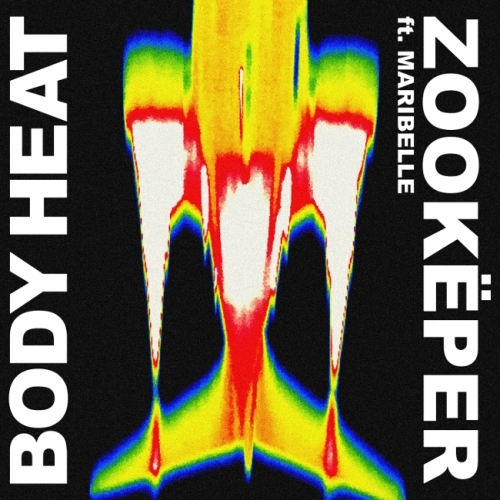 Released last week, Body Heat, with its distinct UK house flavour, infectious dance energy and soulful vibes, has all the hallmarks of a future club banger. For fans of Alunageorge, M-22 and Calvin Harris.